In the Eyes of IT Decision Makers, Cloud Is Good. Despite its challenges and disruptions, cloud is creating solutions. And in the eyes of respondents, this is considered a positive development for their organizations. Cloud Is Here…and Growing. Cloud—whether public, private, or hybrid—is already here. Today, it occupies a significant share of IT spending, 23 percent, and our respondents see it rising to 27 percent by 2016. Private cloud is the most prevalent cloud deployment method, at 45 percent. Emerging Markets Upbeat about Cloud. 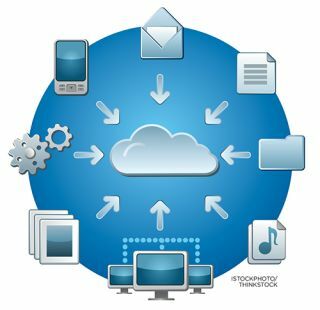 Despite the overall positive attitude toward cloud, important distinctions arise between emerging and developed markets. IT leaders in emerging nations are more upbeat about cloud, focusing on its transformational and innovative potential; in developed markets it is mostly seen as a tool for cost-cutting. High Marks for Cloud Providers. In a competitive marketplace, cloud providers will need to offer end-to-end solutions while orchestrating an ecosystem of partners. High ratings for cloud providers in the survey come with high demands: for security capabilities, custom solutions, and guarantees on service levels. IT Wants to Feel Safe in the Cloud. Security and privacy issues are top in mind and seen as a clear inhibitor to cloud growth. Robust security and data protection capabilities are also seen as the most critical factors for cloud service providers. These findings address many key concerns for school districts as they transition to the cloud. Will they respond to this call to action? Check back for T&L’s coverage on the topic in our May 2014 issue.